Everything good begins with a sparkling smile. And, to have a sparkling, picture-perfect smile, you need flawless, white teeth. Professional teeth cleaning and whitening is an effective way to achieve this look but the cost and maintenance associated with it can prove cumbersome for many. Not to mention the time a dental visit requires for each session. This is one of the many reasons why more and more people are switching towards whitening solutions that you can easily use in the comfort of your own home. DIY Whitening kits are cost-effective, easy to use and save you both time and money. Authentic kits also deliver great results when the instructions are followed. So, without furth ado, here’s how to whiten teeth in the comfort of your home. Whitening trays are one of the most effective solutions for making your teeth whiter and shinier. These trays can be custom made to fit your teeth precisely to give the optimum results. Customized trays also avoid leakage of gel into the crevices of your teeth and prevent irritation of your gums. To use whitening trays you can either consult your dentist to design one ideally suited for your teeth or purchase one online from an authorized seller. LED Whitening kits are a quick and easy way of whitening your teeth for an economical price. 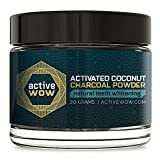 They are essentially an improved way of using whitening trays. Remove the trays from your mouth and rinse it thoroughly. 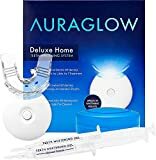 The LED light activates the whitening gel and creates an improved whitening result. The application time is usually also reduced when using LED light. 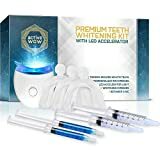 Check out our recommended LED teeth whitening kit below, which uses whitening trays and LED light to deliver sensational dentist quality results easily at home. 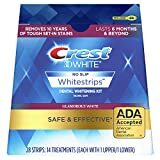 Inexpensive and quick, whitening strips are convenient to use when you need to shine your teeth in a short period of time. It’s important to purchase these whitening strips from a reliable brand. 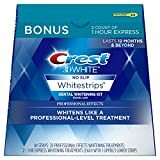 Crest strips are an indsustry leading brand name that can be relied upon to deliver good fast results. 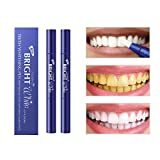 One of the safest whitening options are teeth whitening toothpastes. This is beacuse they usually only contain polishing agents or a small concentration of bleaching agent. They should not replace your everyday toothpaste, insetead should be used every now and then. 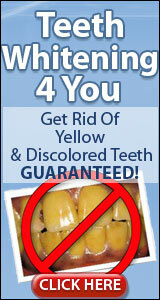 When used correctly they are a long term remedy for ugly, yellow teeth. You can purchase most of these options online or from a nearby convenience store. But as with any self administered whitening treatment you should always consult a dental expert before use to ensure a pain-free whitening experience. 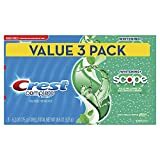 To get the best restuls choose a reputable brands like Crest.